via BR.DE (translated by Google).. The German Federal Armed Forces want to order jet fighters worth billions of Euros at Airbus, as the Federal Ministry of Defense has decided. The BR learned from government circles. A business from which the locations in Augsburg and Manching profit. Millions of heavy order for Airbus in Manching: As the Bavarian radio has learned from government circles, ordered the German Armed Forces at Airbus 33 fighter jets. This would secure approximately 5,000 jobs for many years at the Manching site, confirms Airbus Works Council Chairman Thomas Pretzl. The Ingolstadt member of parliament Reinhard Brandl (CSU), who is also on the defense committee, welcomes the decision of the ministry "very much" to replace the old Eurofighter by the latest generation aircraft. 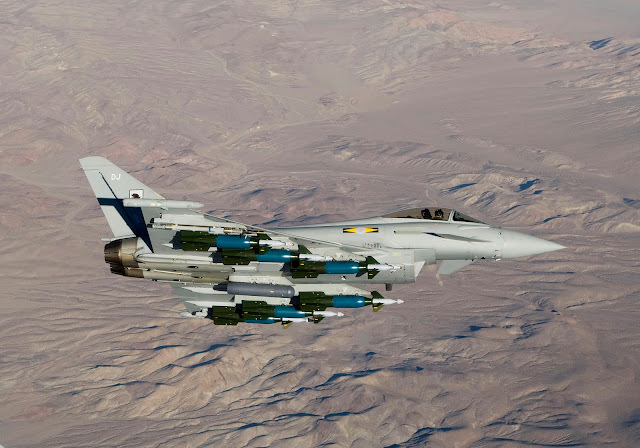 "This is more economical than an extension of service life, which gives the Bundeswehr a Eurofighter fleet with uniform capabilities, which also simplifies operations and logistics." Predictable. Not much news here.